It’s been a pretty incredible weekend. Had a great time at the US National Championships, making a great run in the main event and getting to spend some quality time with friends. Tournaments like this are always a blast to attend. As a lot of people probably know, I played a pretty weird deck for the tournament, taking it into a deep tournament run, falling a win away in the last round from potentially making the Top 16 cut depending on how my resistance would have shaken out against the other players on the bubble. I don’t remember too much from a lot of my matches, so the bulk of this article will just be about discussing the deck I played and how it came to be, and why I played it, but I’ll cover my matchups and some of my highlights from the tournament. One thing I always do when a new set is released is build a lot of decks and jump into playing a bunch of random games on PlayTCG with them. 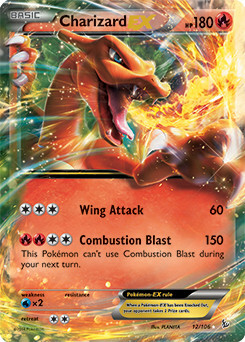 The decks I built first were mostly based around Charizard EX, and I played a bunch of these decks on PlayTCG immediately after Flash Fire was added to their card database. During the course of this testing, I ran against a deck that caught my eye, with was a Landorus EX/Miltank/Dusknoir deck. This deck obviously had many problems, as I beat it fairly easily with my Charizard deck, but the Landorus EX with Muscle Band combo for 80 damage when paired with Dusknoir BCR seemed really strong to me. Playing games against randoms on PlayTCG (or PTCGO) can be very beneficial just to see what other players are thinking as far as combinations. I can’t think of every deck I’ve built based off of something I saw on there in a random game, but I know I got a good idea for what a good Weavile deck looks like before it ever saw tournament play from a random on there. Immediately after the game, I went about building a similar deck. I started with 4 Landorus EX, 3 Miltank, a 2-2 Raichu line, I threw in one Mewtwo EX because I was playing Double Colorless Energy, and then put in my Dusknoir line, throwing in a Dusknoir line, including the “bad” Dusknoir from Flash Fire just because I was already playing Duskull, and Dusclops, and Rare Candy to support it. During the initial testing, some things became clear. 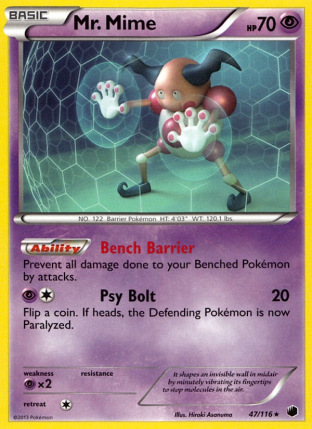 Miltank wasn’t as good as I thought it would be in the deck, as it is kind of redundant damage wise with Raichu, and you would generally go EX/EX/non-EX/EX for your prize exchange in a game, so the Raichu line would be enough. 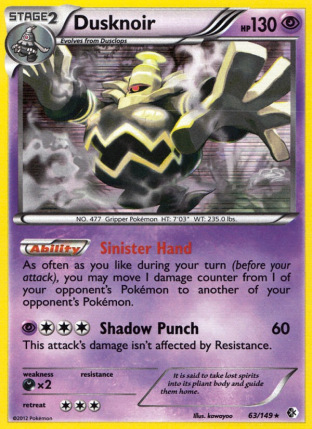 In games where you went EX/non-EX/non-EX/non-EX/EX for your prize exchange, you were generally losing Dusknoir line pieces to gust effects. This made it so that the 2-2 Raichu line was all that was really needed for the non-EX prize exchange. Raichu was superior to Miltank in the deck overall, as it could hit for 120 with Muscle Band (compared to 100 for Miltank), it gave you a Pyroar counter, and it also countered Yveltal EX, which I expected to be the most popular deck at U.S. Nationals. In the early testing, it became clear that the Dusknoir FLF would stay in the deck to the end. Getting both Dusknoir out in the same game almost always guaranteed a win. 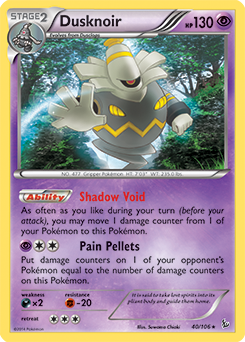 For those that don’t know, Dusknoir FLF has an Ability called Shadow Void, which lets you move damage counters from your other Pokemon onto it, as often as you like during your turn. This did a few things for the deck. First, it let you keep your Energy on your attackers, which is important as you won’t always have the Energy in hand for another attachment after a Max Potion, and it also let me build up the Energy for a Lands Judgment for 170. 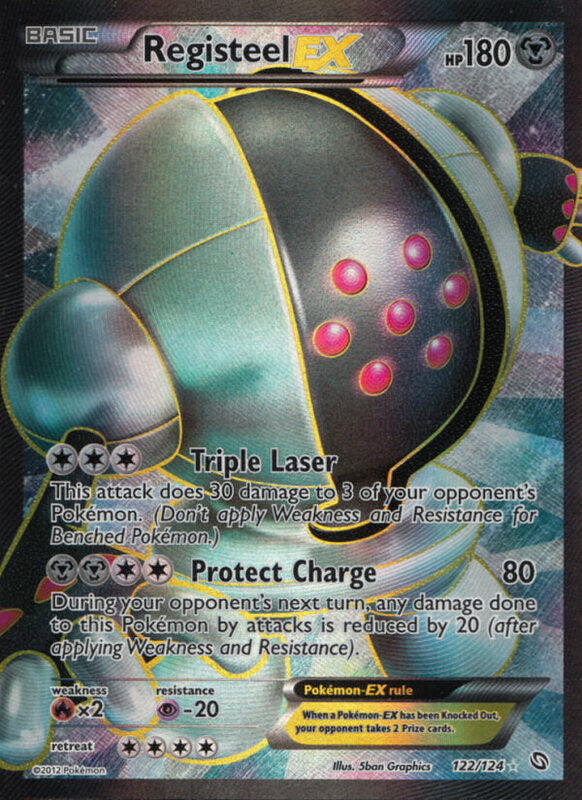 Secondly, the deck plays a lot of low HP Basics (Pikachu, Duskull, and Jirachi EX), so Dusknoir FLF helped prevent the opponent from sniping your damaged Pokemon on the deck for extra prizes. Lastly, it worked well in conjunction with N. In games where I ended up at even prizes, and an EX was the thing I wanted to attack with for the rest of the game, I could knockout the Dusknoir, and then N my opponent to one, putting me in a super strong board position/card advantage relative to my opponent. After some testing, it became clear that the deck was really good, so I took it out of my decks that I was willing to test publicly and moved it to private testing to not let anyone else jump on the idea. The testing was positive, it seemed to have very strong matchups against Virizion EX/Genesect EX and Yveltal EX decks. It also seemed to never lose to TDK decks, even with Landorus EX being weak to Water, but I wanted to add something more to the deck to push the TDK matchup to a comfortable level. The thing about TDK, is that it’s kind of inconsistent compared to the other two main three decks, and it’s very predictable, so I used this knowledge to formulating my strategy to beat TDK. I played the deck mostly free form (no set strategy for specific matchups, just playing the field and my draw, and adjusting my strategy based on that), but TDK needed a tight strategy to win. 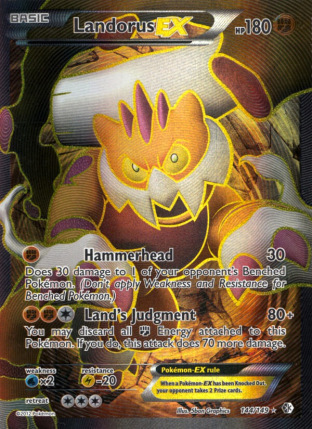 I would begin by using Landorus EX to spread damage on my opponent’s field. I could usually get two Hammerhead attacks off before they knocked out my first Landorus EX, which gave me 120-160 damage on my opponent’s field depending on if I got the Muscle Band as well. 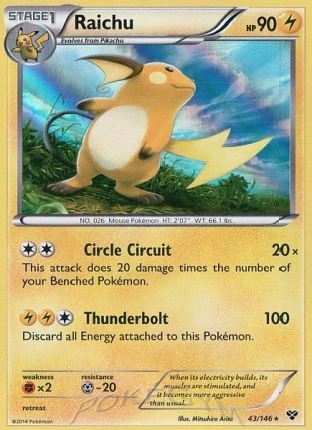 In general, I would be able to get Dusknoir out around turn 3, and then move damage to a benched Kyurem and knock that out, while knocking out the Active by moving 1 damage counter to it, and then knocking it out with a Raichu with Muscle Band. From there, my opponent would have to reload using Raiden Knuckle, at which point I could load a nasty 130 damage on the field, which meant any Kyurem’s that were played down were going to get knocked out immediately. With Plasma jumping to some early prize leads on you, it’s not too difficult to N them into a poor hand along with a poor field position. However, Max Potion is a thing, so I had to take into account my opponent preventing some of the damage I got onto the field. This made the TDK matchup really close, but I could win the matchup with a last stand Pokemon, which is a big bulky EX that is difficult to OHKO. Problem with the current build…Landorus EX is weak to Water, so he can be knocked out by Kyurem, and Mewtwo EX is weak to Psychic, so he can easily be knocked out from a Helix Force from Deoxys EX. I needed something else to push the matchup further. My first choice was Kyurem EX. It wasn’t weak to anything relevant, was good against Landorus EX mirror and Charizard EX, and it is a pain for the opponent to deal with. Outrage for 50, followed by an Outrage for even more after they hit it was usually enough damage to finish off the game. 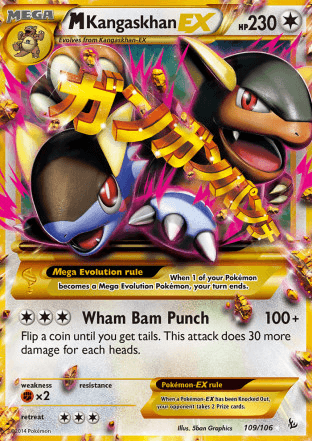 If need be, I could use it in combination with Dusknoir FLF to put it down to the exact damage amount that would maximize damage output while preventing my opponent from knocking it out on their turn. It was really good. However, there was a better card for this role. In my Yveltal EX deck, I had been testing Registeel EX, as that deck sometimes comes up 20-30 damage short of KO’s, and it was nice to be able to clean up on any missed opportunities (Landorus EX saw success in this role at a foreign Nationals), I was testing Registeel EX, as it was easy to setup with Y-Cyclone and had more reach. In my testing with my rogue deck, I saw that I generally would have a turn at some point where I could gain an extra attachment, so compensating for Registeel EX’s double Energy attachment attack wasn’t too difficult to pull off. 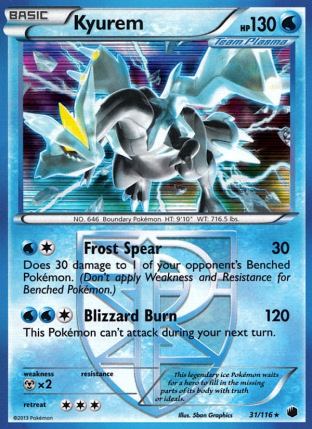 The brilliance of Registeel EX in the TDK matchup was that it hit Kyurem for weakness. 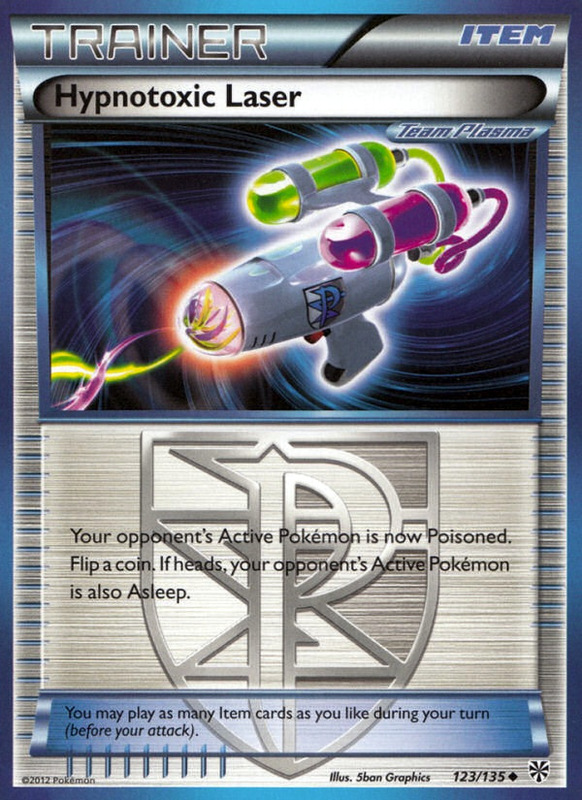 It would generally come into the Active position after my opponent knocked out a Landorus EX with a Kyurem, so there was a Kyurem sitting there to be hit with Triple Laser. With a Muscle Band, Registeel EX could hit the Active Kyurem for 100 damage, and then two benched Pokemon for 30 damage, for a whopping 160 damage. This put massive pressure on the opponent at the end of the game which was difficult for TDK decks to overcome. It was around this point, that I started seriously discussing the deck with others. Both JW Kriewall and Clifton Goh provided valuable input into the deck. JW and I worked on finding out the skeleton of the deck, and then what to fill the remaining spots with for different meta games. This was very helpful in making sure that the final 60 cards were mostly the right 60 cards that should go into the deck. 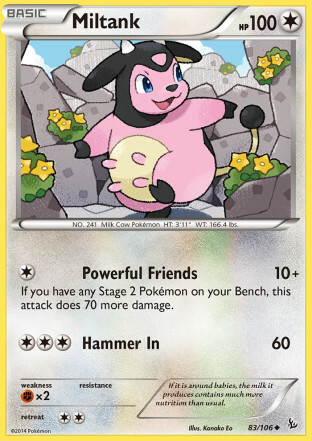 About two weeks before Nationals, both JW and Clifton had expressed doubts about Miltank, which was something I was also seeing in my own testing with the deck. Miltank was there from the beginning, but I finally made the decision to cut him for an Enhanced Hammer, which was good in both the Yveltal EX and Plasma matchup…adding another thing that helped counter Plasma was something I was all about. Yeah, Plasma had tested positively, but I just couldn’t shake the feeling that those testing results were deceptive because of the type advantage Plasma prevented, so I wanted to do as much as possible without killing the deck’s little consistency to push that matchup to be better. I also talked with John Roberts about the list during a testing night, and he liked it a lot, and I know he ended up running his own Landorus EX variant for Nationals, I think Landorus EX/Raichu/Mewtwo EX was a really strong base attack strategy for the format, so it was good to hear positive things about the combo from someone who has had that success on the big stage. I tested the deck a lot with Michael Hopkins and Dema Boatman. Sometime during this testing, I wasn’t feeling happy with how consistently I was getting out my Dusknoir. I ended up taking a different approach to a Stage 2 deck than I had in the past. I started with a 3-1-2/1 Dusknoir line, with 3 Rare Candy, but I just wasn’t feeling it. I ended up re-working some things in the deck. At this point, I was playing 4 Ultra Ball/1 Level Ball. I re-did my Ball/Candy/Pokemon lines to something that ultimately gave me better consistency in getting multiple Dusknoir into play. I cut a Rare Candy for a 2nd Dusclops, and swapped out my 2nd Miltank at the time for a 2nd Level Ball. I also cut an Ultra Ball for a Heavy Ball. Having both Level Ball and Heavy Ball in the deck compared to just Ultra Ball was great, as they allowed me to grab a good variety of Pokemon, without having to discard resources, as well as allowing me to get a ball back with Dowsing Machine (the 4 card discard of Dowsing Machine for Ultra Ball is a complete non-play). To recap what my balls could get: Heavy Ball – Landorus EX, Registeel EX, both Dusknoir. It would be good at pretty much any stage of the game. Level Ball – Pikachu, Raichu, Duskull, Dusclops, and Jirachi EX. Again, this was very good early game, but mostly good at any point allowing me to get the Raichu late game, or the Jirachi EX to save the day. I had shutdown testing of the deck about 2-3 weeks before Nationals, playing things like Trevenant/Accelgor and Sableye/Hammers in a couple of Tropical Beach tournaments we had in our area leading up to Nationals. I felt I had the matchup information that I needed already, and I didn’t want to burn myself out on the deck before Nationals. I did, however, play two games with the deck with Michael the Thursday night before Nationals to get a feel for the deck before the tournament, and get out any minor misplays that might be in my system. I ended up losing both of these games to his Buffalo Wild Wings deck, and the main reason was card advantage. 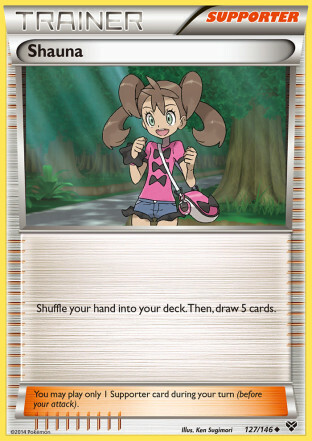 I was using two of my Supporter spots on Skyla, which in theory is neat for grabbing a ball, Max Potion, or Rare Candy at the right moment, but it put me too far back in draw, generally using the card to grab another Supporter from the deck. I decided I didn’t want to play Skyla for Nationals, so when I got back to the hotel room, I took out my binder, and turned to the Supporter pages, eyeing up potential candidates. I knew I wanted to replace one of the Skyla with a 4th Professor Juniper to give myself the most aggressive draw possible. The last spot was a doozy. I thought about Ghetsis, but I knew from testing it was weaker this format than previously. I thought about playing a 4th Colress, but starting the card is awful. I quickly eliminated Random Receiver from filling the spots, as Colress was like 30% of my current Supporters, and going into one of those early game was awful. 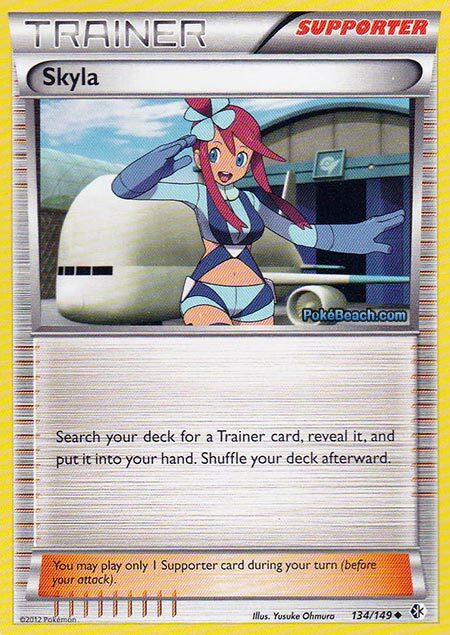 One card that I was eyeing up for a long time was my Full Art Iris. The card has great art, and the thoughts of using Circle Circuit for 170 with a Muscle Band and Iris to end games was so very tempting. However, I knew consistency was important for such a long tournament, so I ended up going the most vanilla route possible, playing a Shauna. I know there is a lot of hate for Shauna, but it’s really not that bad of a Supporter. Shuffle and draw 5 isn’t great, but it’s not bad, and it generally is enough. I’d be lying if I wasn’t nervous when playing Shauna, as it never felt like enough draw, but it generally did the job well. Depending on the deck, Shauna is a nice last Supporter to fill out a list. I was set on playing this deck for the past month and a half. There’s always a little bit of uneasiness when you’re playing something that hasn’t been legitimized in tournament testing yet, but I figured that around a month and a half of testing the deck among multiple players with good results wasn’t lying to me in regards to the deck’s strength. Last year, I played Crushing and Enhanced Hammer, along with Hypnotoxic Lasers in my Sableye/Garbodor deck, which I took to a Top 128 finish. This year I would be playing Hammer(head) and (Triple) Laser. I just seem to love hammers and lasers. And here is the list I ended up playing for the tournament! I think the Pokemon lineup has been explained well earlier in the article, but I want to talk about one Pokemon, and that really has to do with the Supporter lineup of the deck. Supporters, my deck is obviously below the “acceptable” threshold for Supporters in a deck. A great point I saw Kevin Baxter make on someone’s post on Virbank in the last few days is that people mistake Supporter count with consistency. 12 Supporters is low, but I feel like it was just enough and I built the deck to optimally use my Supporters thanks to Jirachi EX. 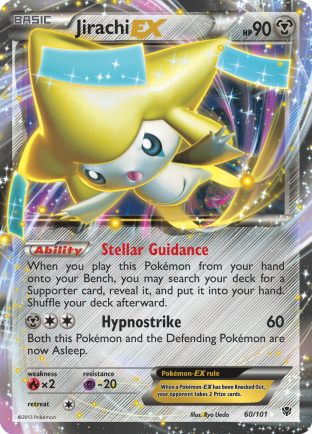 Jirachi EX has an Ability called Stellar Guidance, which lets you search your deck for a Supporter count. This is a card that a lot of the player base are sleeping on, but it’s one that I’ve begun considering a near staple in most decks. Looking at the list as a whole, with my 12 Supporters, 3 Ultra Ball, 2 Level Balls, and the possibility of starting Jirachi EX along with another Pokemon gives me a total of 18 outs to a Supporter on turn one. Add in Dowsing Machine in the late game, and that’s 19 different cards that are working in some way towards giving my deck draw consistency. I’ve tested the low Supporter count in a variety of decks leading up to Nationals, using Jirachi EX to patch things together, and it had tested really well. The thing is, you generally just have that one situation in a game where you are dead drawing, regardless of whether you play 12 or 14 Supporters in your deck. By turning your balls into draw cards via Stellar Guidance, you are almost always able to escape these scenarios unscathed. Additionally, if you play too many Supporters, you will generally draw hands at some point in the game where you get like 4 or 5 different Supporters, making the hand near useless after you use a Supporter hoping for other cards that you wish to use that turn. By playing a lower Supporter count, I mostly avoided these situations. Lastly, choosing the best possible Supporter for a given situation is can be game breaking, and Jirachi EX gives you this type of control over the game. A lot of players don’t want to play Jirachi EX in fear of it getting gusted up for game or knocked out with snipe damage, but this only happened to me twice over the entirety of Nationals, and I would say that the amount of games that Jirachi won for me far outweighed the ones that it lost. Playing six balls to search out my Pokemon let me get my ideal setup for a game out pretty consistently as well. 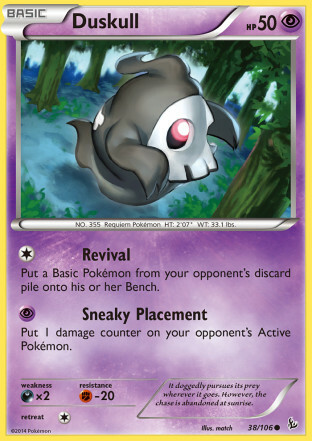 There is one other Pokemon I’d like to highlight, and that is Duskull FLF. I never actually got to do it during Nationals, but using Revival, and then moving damage to something and using Hammerhead to knock it out is a winning strategy for some games. I was going to use the strategy in one of my games, but my opponent ended up scooping before I could do it. The Items are probably what you would expect from such a deck. The one thing to note, is the 4 Muscle Band. I wanted to play as many of those as possible as this deck is all about doing just as much damage as is needed to win, so getting as much extra damage on the field as possible is great. The Energy count is pretty low, but most of the Pokemon in the deck attack for one attachment, so it worked well enough. I had a Professor Letter in the deck, but cut it after finding out with the low Energy attacks, I would draw into the Energy I needed more often than not. There were two cards that could be considered techs for the deck, that didn’t end up making it into the final cut of the deck. One card we tossed around a lot with the deck was fitting in 2 Hypnotoxic Laser. It was a free 30 damage against anything playing Virbank City Gym, and games could be won on sleep flips with the card. 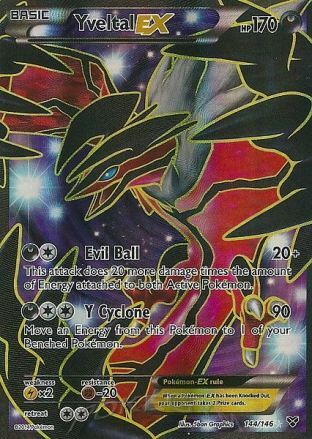 I felt it was a dead card against most of the meta game (Virizion EX was gaining popularity as a tech in TDK even), and I felt more confident in the Yveltal matchup than others did with the deck, leading me to not too seriously consider it for the final cut. 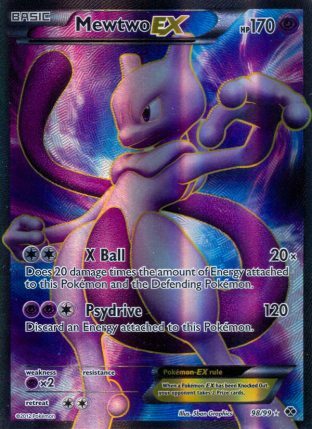 The other card, that warrants a lot of discussion, especially after the meta ended up shaking out at Nationals is 1 Psychic Energy. We had discussed the possibility of attacking with Dusknoir FLF for a bit. 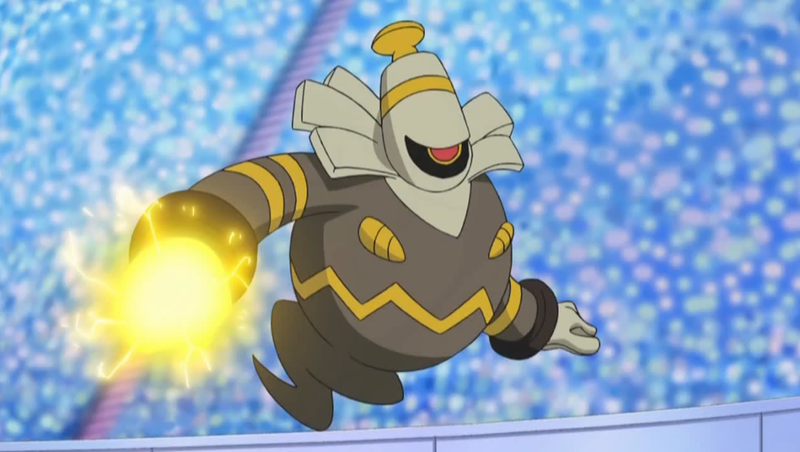 Its attack, Pain Pellets, costs PCC, and lets you take all the damage on Dusknoir FLF, and you choose one of your opponent’s Pokemon and place it on that Pokemon. 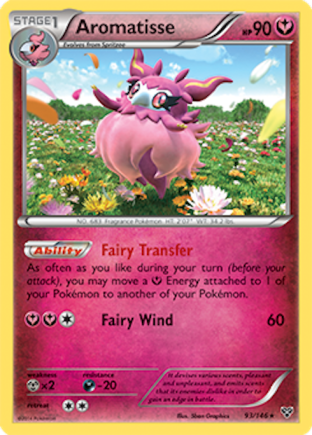 We didn’t expect Pyroar to be as heavily played as it did, but if there was one card I would work to fit in if I had a mulligan is the Psychic Energy. Here’s how it would help the deck. In the Pyroar matchup, they would never be able to OHKO the Dusknoir. You would just take their attack, and then send all that damage right back onto their side of the field with Pain Pellets. Pyroar maxed out at 110 damage, not enough to knockout the Dusknoir. If you force them to go to Mewtwo EX/Charizard EX, you can knock those out with your other attackers, and then close out the game against Pyroar with Raichu. 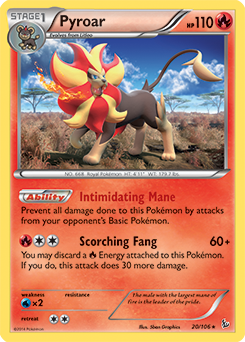 I think the 1 Psychic Energy to use Pain Pellets would have given the deck an amazing Pyroar matchup. Here are the results I got from my testing in regards to the matchups for the deck. 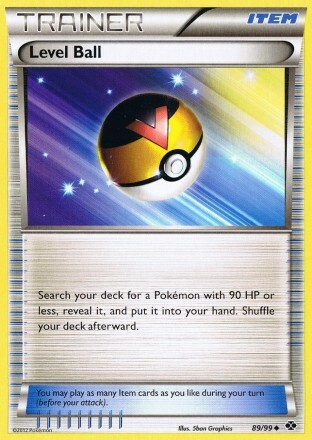 Yveltal EX/Raichu – This was a super favorable matchup, like 80/20 territory. The combination of Raichu hitting for weakness and being able to use your Abilities without worry made for a matchup nightmare for this deck. Their backup attacker of Raichu was also weak to Landorus EX. Yveltal EX/Garbodor DRX – This was around a 70/30 matchup for me. It was noticeably more difficult than the Raichu testing to beat, but the deck still generally beat it. The approach I took to this matchup was to take out all the Garbodor lines if I got off to a good enough start, otherwise, just put as much damage on my opponent’s field, and then knocking out a benched Yveltal EX with Sinister Hand after using my Megaphone, placing remaining damage counters on the next benched threat, and then knocking out an Active Yveltal EX with Circle Circuit. it also helped that Landorus EX hits both Darkrai EX and Absol PLF for weakness. You hit all their attackers for weakness in some way or another. This was a very deceptive matchup where you can lead your opponent to thinking that they are in complete control of the game, when in reality you are in complete control of the game ,and in one big swoop of the Megaphone, the entire game flips upside down into your favor. Virizion EX/Genesect EX – This seemed to be around an 90/10. I think Virizion EX/Genesect EX is too slow, and is poorly built to react to this deck. If they use Megalo Cannon, you will kill them in the damage exchange with Max Potion. If they use G-Booster, you punish them by knocking out their other Genesect EX with Energy, leaving a hapless Genesect Active. Mewtwo EX and Raichu were great for knocking out Genesect EX after a few turns of Hammerhead as well, making it very easy to eliminate the real threats on their field, making for a really easy matchup. The damage math is just so heavily in your favor. TDK – This I would put at around a true 50/50 matchup, but more around 60/40 if you have a deep understanding of how the two deck’s interact. Definitely a very aggressive deck that can put some scare in you, but if you keep your cool, and just keep the long game in mind, I think you should come out on top most of the time. The Registeel EX and Enhanced Hammer helped push this matchup into comfortable territory for me. Those were the big decks I was worried about headed into Nationals. I found the deck to be very strong against Emboar, as you could easily shut them out of Emboar with Sinister Hand, making for a very easy matchup. Greninja/Miltank was very easy to beat, as you hit Miltank for weakness, and could go after Froakie on the bench with Sinister Hand, taking easy prizes and limiting their Water Shuriken damage. Additionally, if you got Dusknoir FLF out in the game, you could completely undo their Water Shuriken placements, which was very strong. The bad matchups for the deck? Well the stuff playing Max Potion was difficult. I had actually tested a decent amount against Flygon and got others feedback on the matchup, and we found it to be a complete toss up. If you got an aggressive start, you could lock them out of both Dusknoir and Accelgor, losing them the game. If it went long game you lost. Trevenant/Accelgor was also a pretty bad matchup for obvious reasons. In my round 1 match, I almost lost the first game of the series do to sleep checks because of Hypnotoxic Laser. I was in complete control of the game, until my Landorus EX got hit by a Hypnotoxic Laser, stayed asleep, and I couldn’t find a switching card. The damage matched up for it to be knocked out going back into my opponent’s turn. I then sent up another Landorus EX, which again got put to sleep with Hypnotoxic Laser, but luckily my Landorus EX woke up so I was able to Hammerhead for the win. In my Round 3 matchup against Rithveasna, in our first game, I noticed something really weird going on. 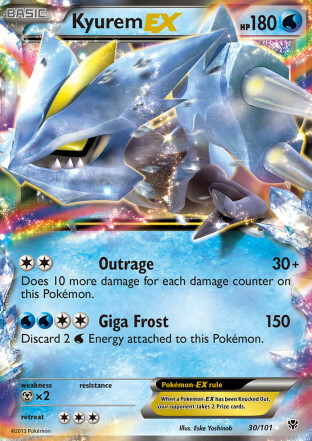 I saw my opponent had Water Energy in his deck, but he hadn’t benched a Kyurem…ever, which seemed really strange to me. It turns out that he had prized all his Kyurem. In Round 4, I ended up at table 1. It was a tough matchup against that speedy Pyroar deck with a lot of gust effects to bring up your evolution counters. In this game, he benched his Charizard EX, and I was able to clear his field of Pyroar using that repeated 30 bench damage to the Charizard EX, while tanking my Landorus EX with Dusknoir FLF and Max Potion. I ended up getting rolled over in game 2, and was honestly just hoping for a tie, as we didn’t have much time to play out a game 3. I got a good start to game 3, and think I may have won it, but that deck is really tough, so you never know, so I was glad to have it end in a tie. In my Round 7 matchup against Daniel, in Game 3, I was about to take complete control of the game, I was ready to transition to Registeel EX and take control of the game for the win. I played a Colress for 9, just looking to get the Muscle Band for essentially the win, but whiffed it, drawing mostly Supporters and Energy. 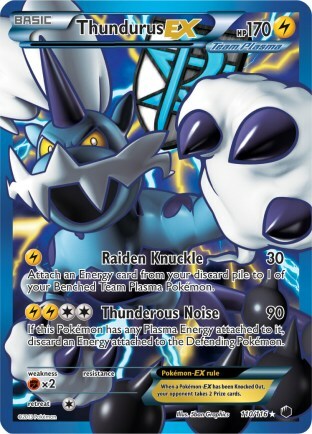 If I got the Muscle Band, I could knockout both his Kyurem and Absol, and have control of the game. Instead, I had to retreat to a non-EX and use Nuzzle with my Pikachu to prevent him from winning the game. I was going to lose the game to a Frost Spear, double KO, but off a Shauna for 5, I managed to hit the exact cards I needed…the Dowsing Machine for Max Potion to clear damage away, letting me escape without the loss. It’s amazing how just one whiff can completely flip your position in the game. It was important to escape these situations with the one point from a tie if you can, as you never know how meaningful that extra one point could be. In my case, that extra one point gave me a path to Top 16 that included going 3-2 on Day 2, which is much more manageable than going 3-1-1 or 4-1 to make the cut. The Round 8 deck I played against was very interesting. It was a speed deck, with Reshiram EX, and Victini to re-flip for Glinting Claw and Brave Fire. With Victini LTR, you flip your heads 75 percent of the time, so most of the time Reshiram EX can do 100 with a Muscle Band with Glinting Claw, really good for knocking out little guys, and it will only take the recoil damage from Brave Fire 25 percent of the time. My round 9 series against Kyle Sabelhaus to play into Day 2 was a great series. I don’t remember all the details from the match, but it ended pretty epic fashion. I got the edge on board position, and was using Hammerhead to build up damage on his field. I felt like I had him on the ropes pretty well, and he is forced to bench a Jirachi EX to use Stellar Guidance to get a Blacksmith so he can knockout my Landorus EX with Combustion Blast to stay in the game. I don’t have a Dusknoir on the field yet this game, but have a Dusclops, and know I have both Dusknoir in deck still with a low deck, and know I have a Double Colorless in deck, and another in the prizes. I have just enough damage on the field to move to the Jirachi EX to knock it out. I have around 9 cards left in my deck at this point, and figure I will hit a Dusknoir for near certain, and if I don’t draw the Double Colorless, I have another chance to get it out of my prizes when I knockout Jirachi EX. I play Professor Juniper, hitting both the DCE and a Dusknoir. I use Sinister Hand to knockout the Jirachi EX, and then attach a second DCE to my Mewtwo EX with Muscle Band to X-Ball for 180 for the win. The start of my Day 2 was a cracker jack of a match. Russell is probably one of the one percenters in the tournament. And by one percenter, I mean he was one of the few players who put Mr. Mime into their list. Mr. Mime in a deck like his makes it a for sure auto loss, as I need that extra snipe damage to execute my strategy. He actually prized the Mr. Mime the first game, but I couldn’t get a Duskull out of the Active Spot to start attacking early enough, which led to me losing the first game. The second game, when he didn’t prize Mr. Mime and dropped it on the bench was laughably one sided. It was just too difficult to even get enough damage on the field to knockout Mr. Mime when he played Max Potion to clear off the damage I did get on the field. In Round 11, I played Austen Vance, who is a really cool guy. He had some really bad luck in this matchup. This is an already good matchup for me, but I got off to a great start and took control of the game very early while running hot. In the second game, I’m looking at my Supporterless hand thinking about how bad this game will be. He starts lone Sableye, and just has to pass. I use Hammerhead for 50 with a Muscle Band on the Sableye. He top decks an Absol, and benches it. I have Escape Rope and Raichu in hand, and use Escape Rope to Raichu to bring up the Absol, free retreat, and take the double knockout on turn 2. Absolutely terrible luck for him on day 2, but it was nice to see him have a good tournament overall. 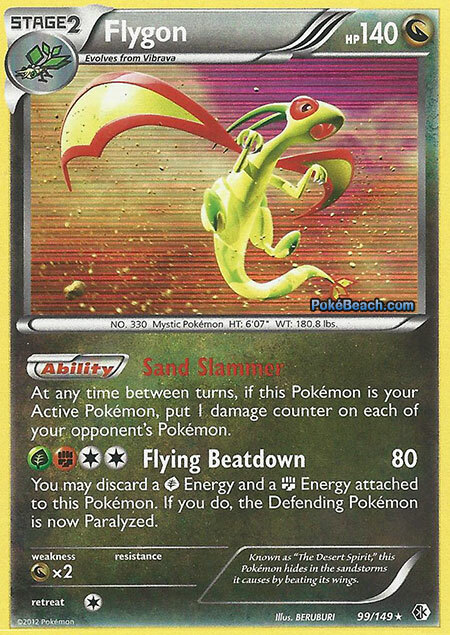 In round 12, against Henry, it was another Flygon matchup. I didn’t get the aggressive start I needed with attacking (but did get out Dusknoir pretty easily in both games), and his list was super consistent, and I ended up getting wrecked pretty hard in both of the games. The round 13 matchup featured me essentially donking a Kyurem on turn 2 as my opponent didn’t draw much of anything. Game 2 and 3 were both close, with me losing game 2, and winning the third. I was fortunate to win the third game, as I prized both Registeel, Mewtwo, and two Landorus EX, but I got a good start to a fairly slow start by him, and was able to use Landorus EX and Raichu to get the work in, pulling two Landorus EX out of the prizes, and I was able to setup a Lands Judgment for 170 to seal the game. My Round 14 matchup against Alex Fields was relatively uneventful. I scooped game 1 after he cleared my Dusknoir lines off the field after about 7 minutes into the match. In game 2, I got my field completely setup, but didn’t draw an Energy until like turn 6 or 7, preventing me from ever attacking. I just used my Enhanced Hammer and Dowsing Machine to slow him down a bit to give myself a chance. Some of the details are fuzzy, but the game turned into Registeel’s last stand. Through some amazing twist, Registeel EX did 330 damage on my opponent’s field all by himself. It was amazing to see Registeel put in so much work to try to save me from a loss. Based on my opponent’s bench, there was an interesting interaction of cards going on, with him not being able to just bring up Yveltal EX to knockout Registeel EX, as it would then be in danger of a Circle Circuit knockout. Registeel bought me the time to start powering up a Landorus EX, and things were falling into place for a potential comeback…but I had to play down Jirachi EX, and he started using Night Spear to slowly take it down. Unfortunately, the final piece to my potential comeback puzzle was taking a break for the game, as Dusknoir FLF stayed put in the prizes. If I could have gotten Dusknoir out of my prizes, I could have evolved to Dusknoir FLF and used Shadow Void to prevent my Jirachi EX from being knocked out. Instead, I pulled some other cards out of my prizes, and Jirachi got knocked out with Night Spear snipe for game. Overall, I was very happy with how I did. I made a great run through the tournament with a rogue deck, finishing 19th in my flight, and 39th overall. I think I made a really strong deck choice for the tournament, as the Landorus EX/Mewtwo EX/Raichu XY attack combination ended up winning the tournament in Brandon Salazar’s Big Basics/Garbodor deck, which used the same set of attackers, trading in Dusknoir’s damage manipulation for Garbodor’s Ability lock and LaserBank’s damage boost. The difference between extending my run at Nationals and not doing it ultimately came down to matchups. If I flip the Flygon and Aromatisse matchups for the Virizion and Yveltal decks that were playing around me, then I probably win those matches and make it into the Top 16 cut, with an opportunity to secure a trip and invite to worlds. However, my matchups were what they were, and ultimately while my deck was great against the main meat of the meta game, I couldn’t beat every deck that was also doing well, so I didn’t deserve to go further than I did. I was close, and it’s frustrating to just come up a little bit short when a couple more wins could have gotten me to Worlds, and put me in the last group of players competing for the title of National Champion. Still, while I didn’t accomplish what I wanted out of this Nationals (which was to win the tournament), I still managed a great run with the one deck that I loved to play. For the tournament on Sunday, I had the opportunity to finish up my worlds invite by placing first in the Championship Point Challenge. I ended up in a Pycurious position, because of best finish limits making anything I did in the event be a minus 30 for the day, forcing me to get first. After evaluating the meta from the main tournament, I decided I wanted to play something good against the main decks, as well as Landorus EX, Flygon, and Pyroar decks. The deck I ended up making was an Aromatisse deck with a 2-2 Mega Kangaskhan line, a Palkia EX, and both Keldeo EX and Suicune EX in addition to the main core of the deck. I got struck by some bad luck in this. In my opening round, I prized both my Thundurus EX. I was able to get a decent game going though by knocking out both of his Garbodor with Megalo Cannon in one turn, using Landorus EX to setup the play. I pulled my Thundurus EX out of the prizes, and I believe I used Megalo Cannon on a Yveltal EX 150 damage remaining. The turn I had pulled Thundurus EX out of the prizes, my opponent played an N, knocking it out of my hand. I played some Supporter trying to get it after the Wham Bam Punch turn to try to take a knockout on it while accelerating an Energy. I whiffed, so I used Virizion EX and Emerald Slash to minimize the Energy loss from the coming Evil Ball. This was very bad, as it resulted in a -2 swing in Energy on my field, which is ultimately what cost me the game. I lost an extra damage from having Virizion EX knocked out, and the second Energy from the Energy that didn’t get Accelerated onto the field. I fell one Energy short from being able to use G-Booster to win the game. This nearly put me out, but I knew if the last undefeated lost the last round, then first place would become a resistance lottery for the X-1’s. With that in mind, I pushed on, beating a Yveltal EX/Garbodor deck and a Big Basics/Garbodor deck. And then my tournament would come to an end against Blastoise. I opened Genesect EX with two Colress, and all he had benched was a Squirtle, so I just held my hand (a lot of players play the Colress here, putting themselves down to one, but it’s the right play to hold your hand, as you will then have less cards in your deck making it more likely to draw into something useful). He then rips the turn 2 Black Ballista to send me out of the tournament. Disappointing result, but I must say, announcing Wham Bam Punch (or Wamboldt Punch as we called it) was an immense thrill. As the season shook out, I ended up with 392 championship points, a decent ways off from the world’s invite. I finished the season ranked 82nd in the United States in Championship Points, and 30th in Premier Rating. It was a solid season, but not what I was hoping for. Next season, I just need to improve on my performances at City Championships and State Championships and I’m confident that I can get to Worlds next season. Star Wars For The Win! This might seem like a stupid question but with the deck would you chose to go first or go second. If you go first you have a better chance of evolutions, but if you go second you can get a first turn hammer off. Also congratulations on doing great at Nationals. I chose to go first in all matchups. It gives you an extra turn to get basics played on your bench to start evolving turn 2, and as long as you don’t whiff, it gives you an extra energy attachment on your opponent. Additionally, if you don’t start Landorus EX, it gives you an extra turn to dig through your deck for a switching card, or to just get that 2nd energy attachment to a Duskull or Pikachu to retreat. A lot of decks in the format aren’t going to attack you turn one. Yveltal/Garbodor struggles to get an attack off besides Junk Hunt, and that’s usually only if they start Sableye. Virizion/Genesect will never attack turn 1. Plasma is the only threat for a turn one attack, but with low Thundurus/switch counts, and I think players cut back on Colress Machine, they didn’t even get off consistent turn one attacks. I think with most decks you really want to go first most of the time. Hypnotoxic Laser was played in almost every deck I played that wasn’t Flygon, Pyroar, or Aromatisse played Hypnotoxic Laser, so getting lasered turn one, and possibly having a sleep check would help to take away the bonus of being able to attack first, so that extra turn could help you get another Landorus benched to switch into and attach you should your original Landorus get lasered to start the game. First turn attack is so misleading to players imo. If I go 2nd, my opponent gets one turn before I can attack. If I go first, my opponent still only gets one turn before I attack, but I have an additional turn for attachments and getting Pokemon out, and giving up the right to attack first is generally not much of an issue when so many decks aren’t pulling off turn 1 attacks. Ok, thanks for answering. I was also wondering why you played 3 colress? Most other people I know who play colress only play 2.